No one said being a successful long-term cryptocurrency trader was easy. Many long term crypto holders are eager to spend part of their wealth but at the same time wish to remain fully invested. Unsurprisingly, most of them are also very reluctant to help out the centralized state by incurring a large tax claim. A solution that gets a lot of coverage is crypto backed lending; where a crypto holder posts part of his or her crypto assets as collateral for a cash loan. For an example loan of $50,000, a lender could ask for $125,000 of crypto assets as collateral. The problem is that if the crypto used for collateral starts dropping and its value dips below say $75,000 there will be a margin call forcing the borrower to either increase the collateral or reduce the loan. believe the main reason for the relatively small total loan amount is the possibility for a margin call. 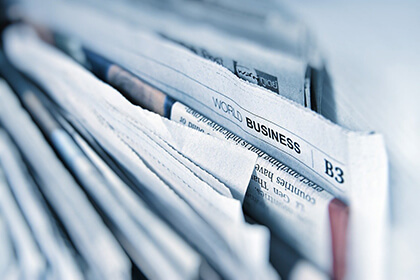 During a large price drop, borrowers always have to be ready to replenish their collateral while the lender faces the risk that a margin call does not happen and the loan is no longer covered by its collateral. We believe these risks are keeping lenders and borrowers out of the market. Derivatives – and specifically put options – can be a powerful solution to this problem. Put options are basically insurance contracts and can be used to ensure the collateral so its value never drops below the value of the loan. This ensures the borrower can always repay its loan and the lender is always paid. A $50,000 loan maturing on the 28th of December 2018 and yielding a 14% annual interest rate can be insured by the lender using Deribit put options. Of course taking out insurance requires an insurance premium to be paid. As of the 13th of July 2018 at 14:00 CET the premium for the relevant put options maturing 28th of December 2018 was $1,499. The total interest paid by the borrower to the lender amounted to $3,203, so after the cost of the put option the lender still has $1,672 of interest margin that carries almost no risk. In percentages, this interest margin is 3.3% over the period or 7.2% on an annual basis. The put options mainly benefits the borrower as he or she is no longer faced with the margin call risk and it effectively provides a loan repayment guarantee where – even of the value of the collateral goes to 0 – the borrower will never have to post extra cash to repay the loan. Since the lender is the one paying for the put option the interest rate on the loan can probably go up a bit so the borrower pays about 15-17% per year but gets the benefit from the put option. At the same time the lender gets 8-10% per year almost without any risk. Deribit, one of the most liquid crypto options exchanges, offers options go out to the 28th of December 2018 so at the moment that is the maximum maturity date of a fully protected loan. At the moment these options are only available in BTC but more crypto’s will soon be added. Taking out the margin call and repayment risks will allow many more lenders and borrowers to enter the market. It might also speed up applications by removing the need for a personal credit check. This could finally allow the crypto backed lending market to take off and allow for some spending by those poor crypto winners. Deribit is live since June 2016 after several years of development. John Jansen, the original founder teamed up with Marius Jansen, Sebastian Smyczýnski and Andrew Yanovsky. 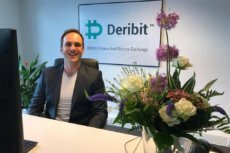 Deribit started as a Bitcoin Futures and Options trading platform going live in the summer of 2016. Disclaimer: Deribit is the source of this content. Virtual currency is not legal tender, is not backed by the government, and accounts and value balances are not subject to consumer protections. Cryptocurrencies and tokens are extremely volatile. There is no guarantee of a stable value, or of any value at all.